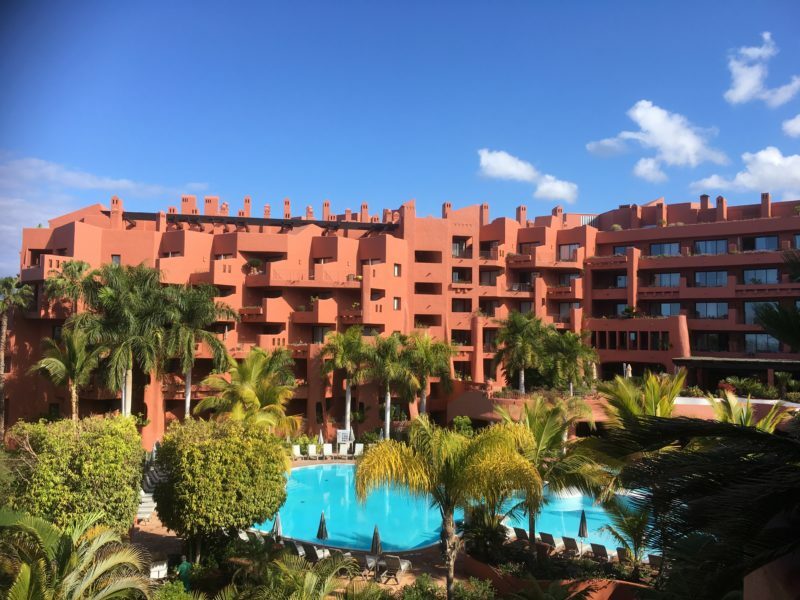 The Sheraton La Caleta is a fantastic hotel, where you can relax in beautiful surroundings overlooking the sea. You can spend your holiday sipping cocktails by the pool with your loved one, while enjoying the peace and quiet and stunning views of this fantastic location. All rooms are great, but to make your trip just that little more special pick the deluxe suite, which has a huge private terrace with spectacular sea views. You will also find a bedroom with a huge Sheraton Signature bed, a separate living area, and a bathroom with a shower and a bath. I stayed in a deluxe room (not a suite) which is very luxurious, but minus the separate area. enough sunbeds with parasols for everyone. 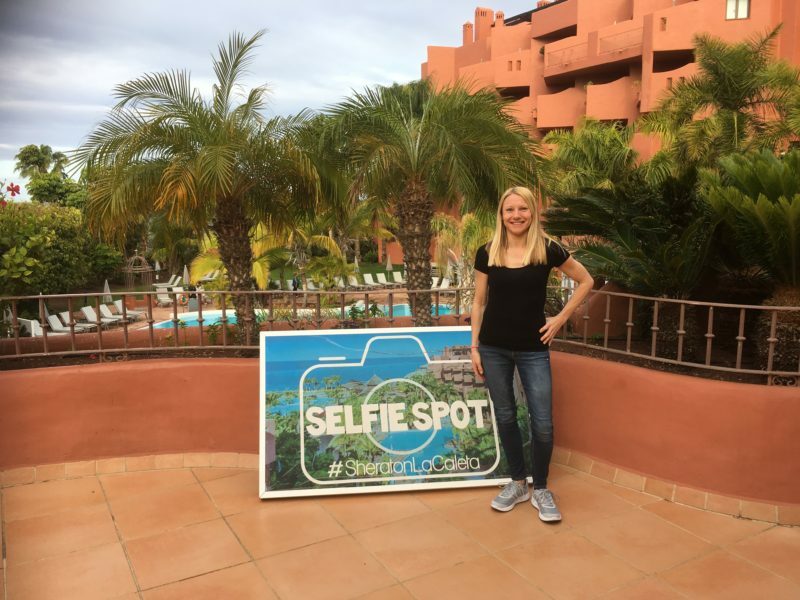 If you are more into sports and fitness then you will find an onsite fitness room with the latest equipment, and tennis and paddle courts just over the road opposite the hotel. There are some great running routes along the coastline just outside the back of the hotel which I recommend. For the children there is a supervised separate area with playground, heated pool and solarium, activities and a mini golf course. There is also a club room with computers, video games and activities for teenagers which I think is a nice touch. 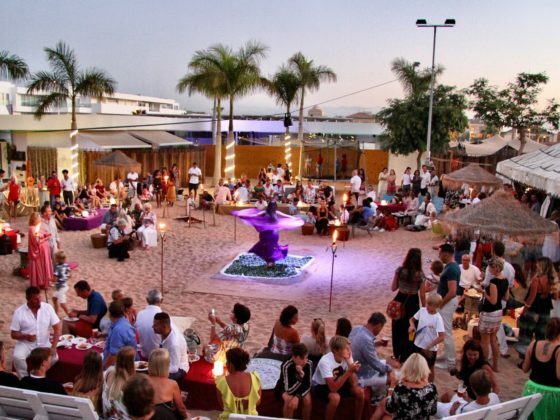 The food is heavenly, and with four restaurants to choose from you will be spoilt for choice. 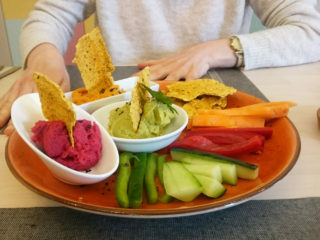 The breakfast buffet is amazing and has everything you could desire such as fresh juices, cakes, lots of fruit, warm food, cold cuts and even champagne. The La Venta Restaurant is beautiful. 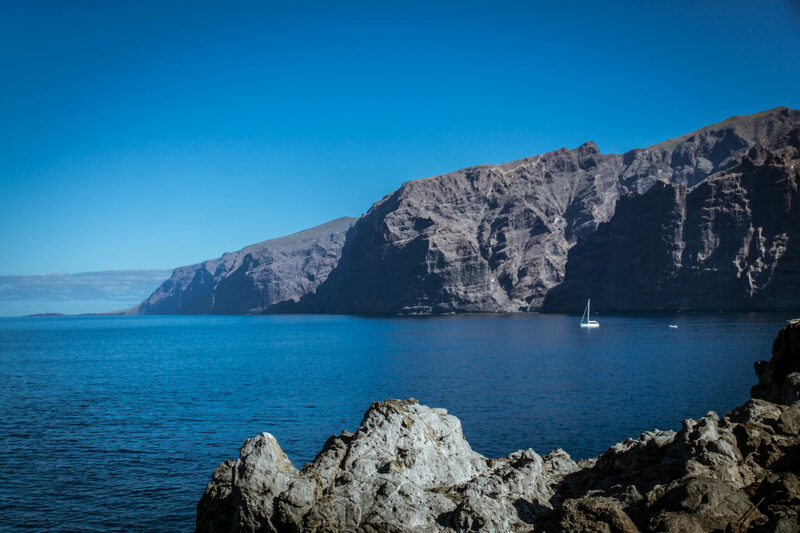 The menu is Spanish gastronomy and has some delicious fish and meat options. I ate here and had a fantastic experience. 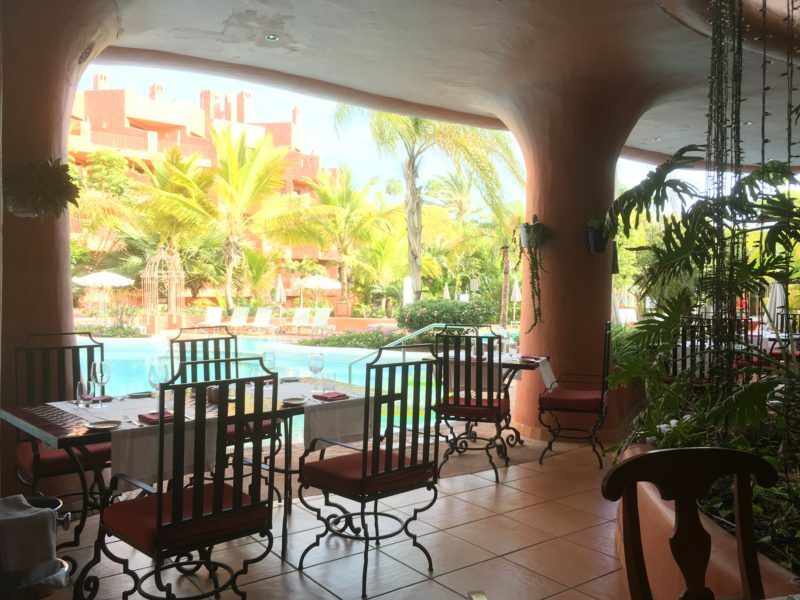 As I entered the restaurant I received a very warm welcome from the staff and was led to my table out on the terrace overlooking the pool area. I tried the exclusive set menu and first was given an appetizer of pork cheeks with potato foam and green olive powder, which tasted amazing. The appetizer can change each day. Next came the starter of sautéed wild mushrooms, grapes and potato, peanut crumble and Canarian cheese foam, which was delicious. I had decided to try the recommended wine with each course so with the starter it was a Rosé wine from Chile which was fizzy and refreshing. The next course was grilled red mullet and all I seemed able to say while eating it was ‘mmmmm’. When I had cleared my plate completely I managed to say ‘mmmmm lovely’ so I guess I really enjoyed eating this course. The wine to complement the mullet was delicious and from Lanzarote. Afterwards was the chicken course with roasted tomato puree and baby vegetables in truffle butter. The red wine delivered with this course was from the Canary Islands and had a fantastic smell with a full barrel like taste. The desert was apple tarte Tatin with vanilla cold soup and Jamaican pepper. 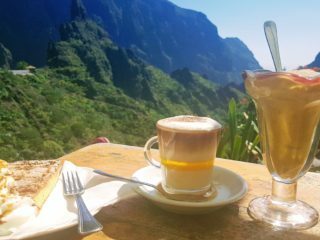 The drink I sampled with the desert was from Gran Canaria. 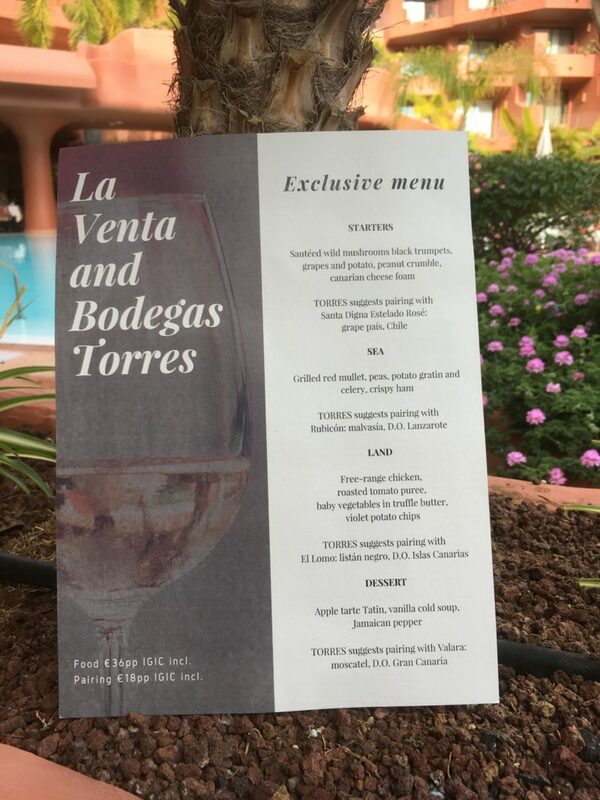 If you are visiting or staying at the Sheraton La Caleta then I highly recommend a meal at La Venta. I’m sure you want to know about nearby beaches. 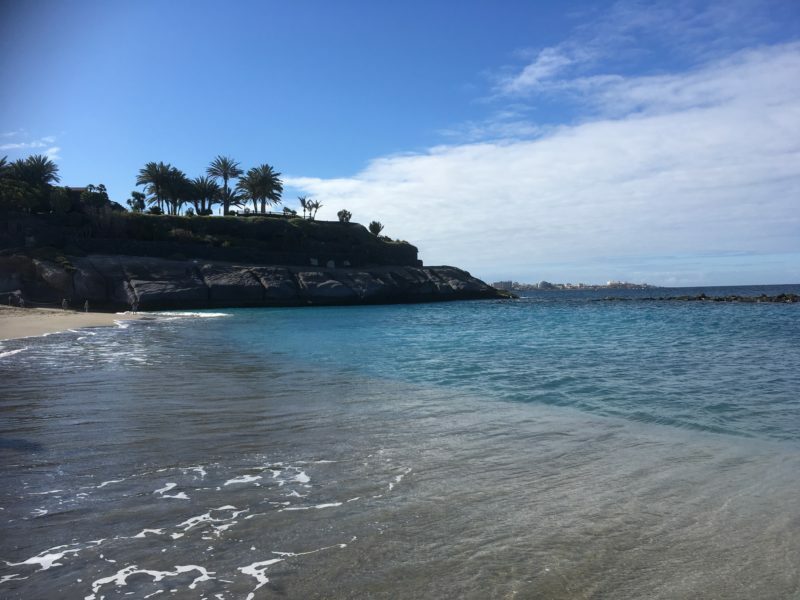 Just outside the back gate of the hotel you will find a new beach, and about a 10 minute walk away is the beautiful Playa del Duque, which is one of my favourites on the island. In the other direction you find a fabulous beach bar called Coqueluche. This is a great bar to enjoy lounging in a sun chair with a drink in your hand while watching para-gliders coming in to land. 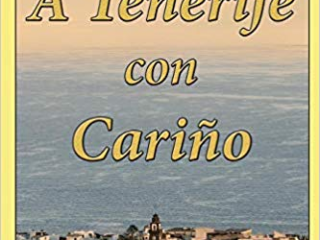 If you walk a little further along from here you will come across the charming fishing village of La Caleta, which of course, has some of the best fish restaurants in the area. 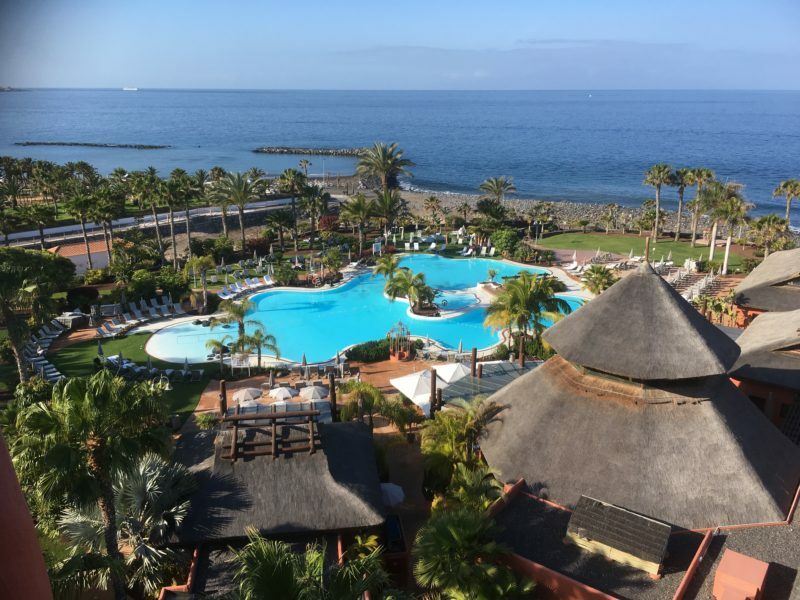 If you are looking to stay in Costa Adeje when in Tenerife you can’t go wrong by choosing the Sheraton la Caleta. Text and images by Lynne Knightley.